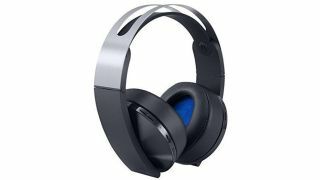 If you're on the lookout for one of the best PS4 headsets then this deal is basically as perfect as they come: Sony's official Platinum wireless headset is down to its lowest price ever at just $97.36 at Walmart right now. It's also heavily discounted at Amazon UK too where it's £97.99 - still a bargain. It's a great headset and has the official branding from Sony, so it's perfect for pairing with PS4. The headset market is a crowded one, particularly in the nearly-$100 area, and the Platinum headset demonstrates a lot of the qualities of headsets in that range (and above): supreme surround sound; quality audio detail and definition; and smart on-board controls and features (among others). But what sets the Platinum headset apart from others is its integration into PlayStation exclusive games utilising customised and optimised 3D sound profiles for games that you can load on to your headset via the console app. This means owners of a Platinum headset will receive an audio experience for VR games and even AAA titles like Uncharted 4: A Thief's End that no other headset will provide. Considering how well PlayStation hardware holds price and value, the official Platinum headset going under $100 is a big deal, in every sense of the word. If you've been waiting for an upgrade, are a fan of the official gear or want to ensure your PS4 experience is as premium as you can get then this headset is a fantastic addition to do so. Just make sure you look after the wireless dongle that plugs into your console: they do not sell these separately.